A timeless classic that will become your everyday go to necklace. Looks great over a white T or even on the beach. Worn solo or layered with other pieces from the Endless Summer collection this necklace will sure be an awesome addition to your jewellery box. 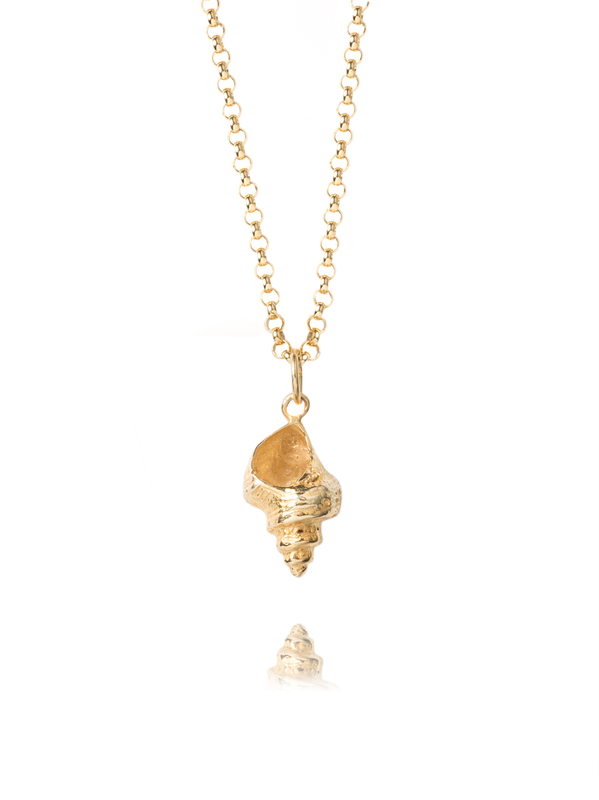 The gold plated shell measures 3cm in length including the jump ring and hangs on a 60cm necklace. The belcher chain measures 0.2cm in width and is made of sterling silver that has been treated to a 23.5 karat gold coating which is really reliable.